surprise! django runs on arch linux arm on a rasperry pi 3 after all! tl;dr: It was permissions issues that kept Django from executing properly on Arch ARM and the Raspberry Pi 3. Read on for the details. Well, looks like I have to walk back that snide comment about Arch running on a Raspberry Pi 3. While I’m certainly no hero, I was irritated considerably by Django’s flagrant failure, enough to find out why. But first, some background. 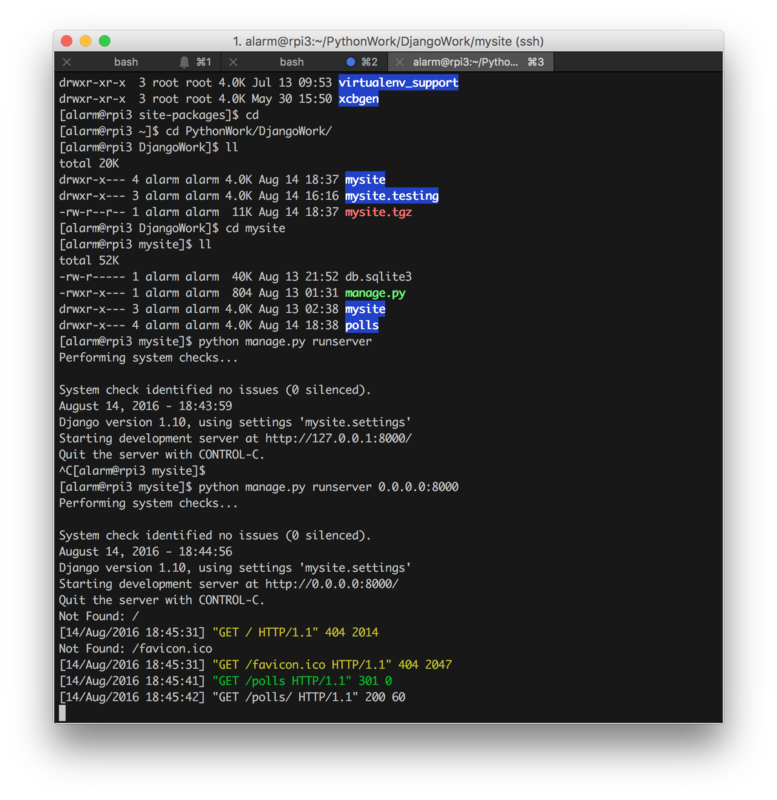 Django, along with a lot of other Python packages, is located in the system’s site-packages directory. On the RPi 3 running Arch ARM it’s /usr/lib/python3.5/site-packages. The site-packages directory is owned by root (root:root) with permissions 755. Permissions 755 means root can read/write, while group and the world can only read and execute from that directory. With that kind of ownership I had to install Django with ‘sudo pip install django’ (without the quotes, obviously). After installation every directory had 750 permissions, and every file had 640 permissions, with root:root ownership. That means, using the non-root account alarm, I had no permissions to read anything in the django installation. Looks like I’m back in business. 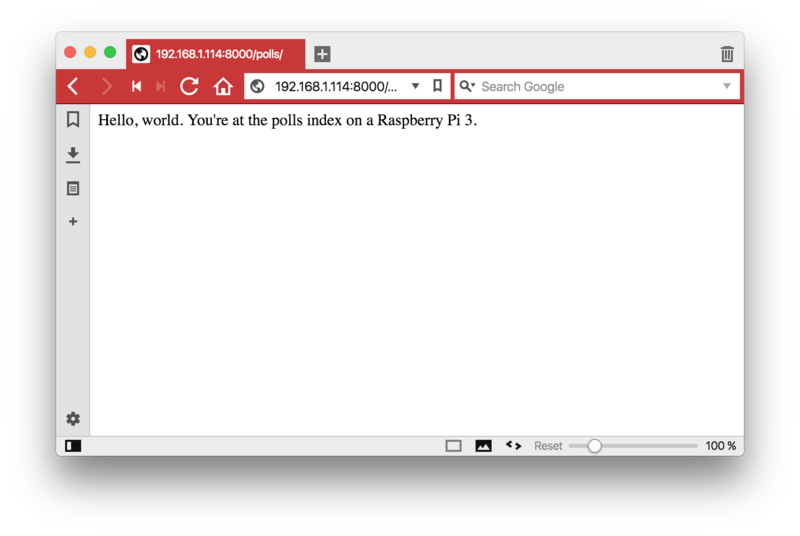 The only thing I edited on the RPi 3 was the polls/views.py with vi to change the text output by views.py. Other than that, I simply started it up. This is the first time I’ve ever had a problem with permissions using pip and Python. In the future I’m going to have to be careful with Arch ARM. It’s a small issue, considering everything else works just fine.